High-volume capacity to produce over 1 million optical elements each year. Tolerances: surface accuracies up to 1/20th wave accuracies, angular accuracies up to 3 minutes. In-house coating department can provide custom coatings as needed. 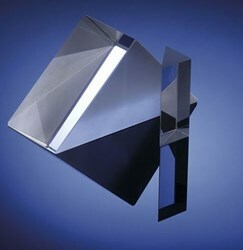 Contact LaCroix Optical to discuss their prism and wedge offerings.